** Please note: This pattern is available in 3 size groups: Small = 5-6-7, Medium = 8-9-10 and Large = 11-12-13. Please see the sizes and measurements below and select the appropriate size group from the drop-down menu. 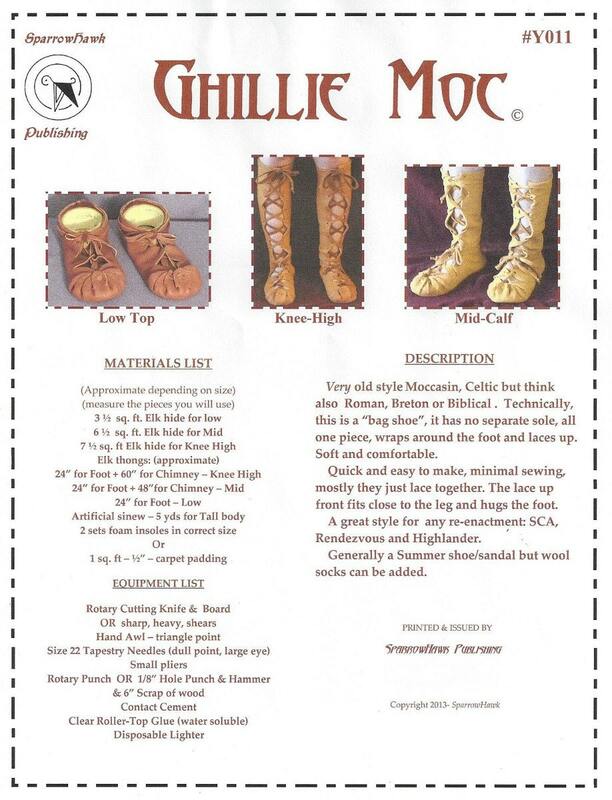 Very old style Moccasin, Celtic but think also Roman, Breton or Biblical. Technically, this is a "bag shoe", it has no separate sole, all one piece, wraps around the foot and laces up. Soft and comfortable. Quick and easy to make, minimal sewing, mostly they just lace together. The lace up front fits close to the leg and hugs the foot. 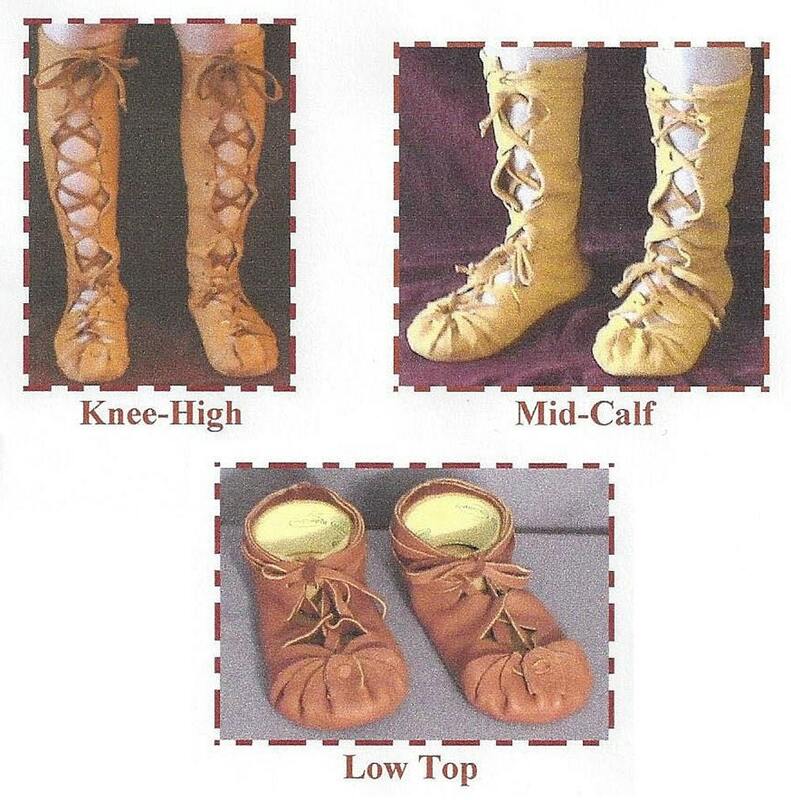 A great style for any re-enactment: SCA, Rendezvous and Highlander. Generally a Summer shoe/sandal but wool socks can be added. Size 5 - 9 1/8"
Size 6 - 9 1/2"
Size 7 - 9 3/4"
Size 8 - 10 1/8"
Size 9 - 10 3/8"
Size 10 - 10 3/4"
Size 11 - 11 1/8"
Size 12 - 11 3/8"
Size 13 - 11 3/4"